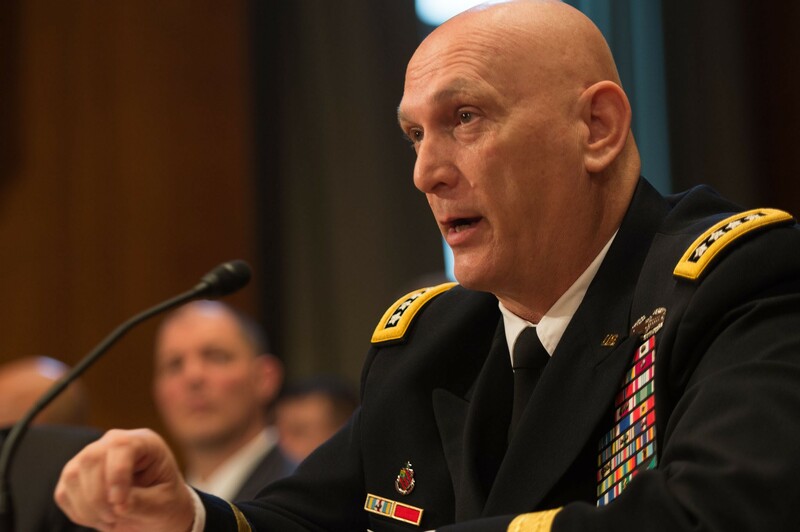 WASHINGTON (March 11, 2015) -- "Today, just 33 percent of our brigades are ready, when our sustained readiness rate should be closer to 70 percent, Army Chief of Staff Gen. Ray Odierno told lawmakers, regarding the lingering effects sequestration has already had on the Army. 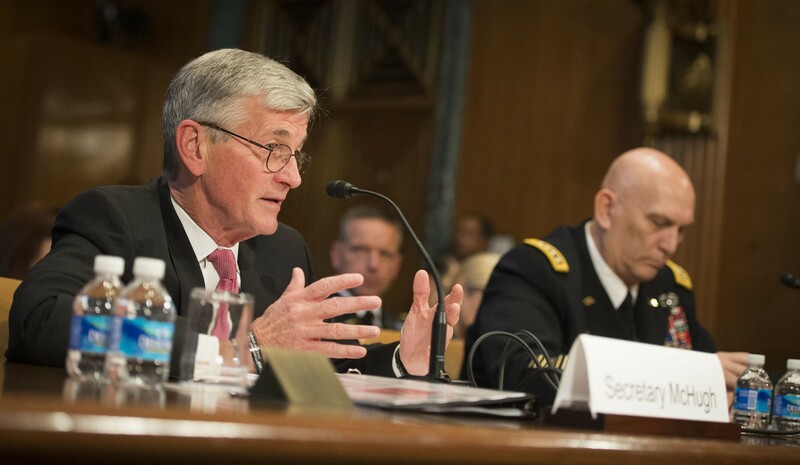 Army Secretary John M. McHugh and Odierno appeared before the Senate Committee on Appropriations, March 11, to testify about the fiscal year 2016 Army budget. McHugh said another round of sequestration will be even more devastating. Congress has thus far not stopped sequestration, which will return Oct. 1, unless legislation is passed which stops it. "We need to stop talking and start acting. We need wisdom, not words. We need results and not rhetoric, and as I said last year, we need predictability, not politics," said McHugh during his opening remarks, inferring that Congress needs to act. 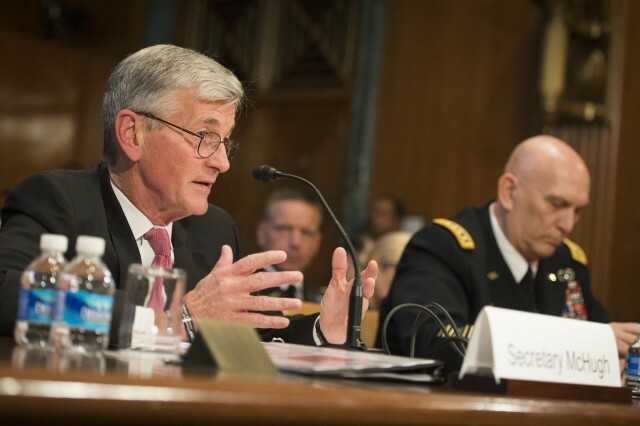 The secretary added that the $126.5 billion Army budget must be passed as well. The two Army leaders then detailed the threat posed by trans-national extremist organizations, as well as the aggressive actions of several nation-states, including Iran, Russia and China. As well, the United States faces "evolving threats to our homeland" from nations and non-state actors, Odierno said. Besides the degraded readiness of brigade combat teams, or BCTs, Odierno painted a bleak picture of force reductions. During the last three years, active end-strength has been cut by 80,000 and 18,000 from the National Guard and Reserve, Odierno said. Thirteen BCTs have been deactivated and three active-component combat aviation brigades are in the process of being eliminated. As well, 800 aircraft have been removed from Army aviation. Investments in modernization have been slashed by 25 percent as well, Odierno said, adding that "we've purged our most-needed infantry fighting vehicle modernization and Scout helicopter developmental programs. "The compromises we've made to modernization and readiness, combined with reductions to our force size and capabilities translates into strategic risk," he continued. "Even the president's budget represents the bare-minimum needed to carry out our missions and execute and meet the requirements of our defense strategy." For the 2016 Army budget "to work, all of our proposed reforms in pay and compensation must be approved and all of our force structure reforms must be supported, to include the aviation restructure initiative," Odierno said. And, "we must be allowed to eliminate $500 million per year in excess infrastructure capacity." If reforms and force-structure reductions are not approved, this equates to "a potential $12 billion shortfall in our budget, comprised of $6 billion in reforms and $6 billion in costs that are masked in overseas contingency operation funding, which must ultimately transfer to the base budget," he said. 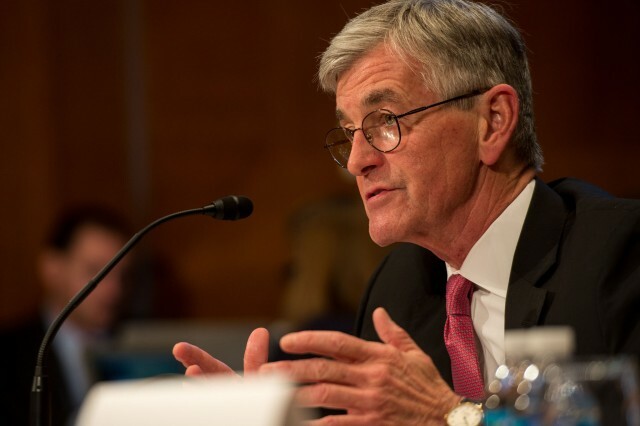 Compensation reforms include: "slowing the growth of Basic Allowance for Housing, changing TRICARE, reducing the commissary subsidy and slowing the growth in basic pay. "Should Congress fail to enact these reforms, the effects of budget shortfalls in programs and services throughout the force will wreak havoc on our formations. We will have to make decisions at every Army installation that will impact the quality of life, morale and readiness of our Soldiers," the testimony states. "Without appropriate compensation reform, the Army would need an additional $10.4 billion across the program years to meet our basic requirements. To the extent Congress does not approve the extra topline or the reforms, we would have to find another $2 to $3 billion per year in reductions, thereby further diminishing the size and capability of our fighting force. None of these reforms are easy, but all are necessary," according to the written testimony. A senator asked Odierno about morale of the troops. "They continue to inspire me," Odierno said. Yet, the uncertain budget, coupled with massive troop reductions that have and will continue to occur, is having a negative impact on their morale, he added. "On top of that there's a lot of discussion on pay, benefits and retirement. All of this is putting pressure on them and their families. Although we've not yet seen the breaking point yet, I worry about when that will occur in the future," he replied. Both the chief and the secretary acknowledged condolences from lawmakers regarding the possible loss of seven Marines and four Soldiers during a training incident near Eglin Air Force Base, Florida. The secretary said "our prayers go out to the families" and the chief told lawmakers that "this is a reminder to the sacrifices and commitment that so many of our young men and women are providing every single day to our country."